More than one in three people living on the street or in shelters in the Basque Country has been homeless for three years or more, with one in every five having been homeless for at least five years, according to the latest annual figures available for homeless in Spain’s northern Basque region. According to the results of a survey of 1,236 homeless individuals in 10 municipalities conducted by the Eguía Foundation for the Basque regional government, one out of every 10 respondents (10.8 percent) said they had actually been without a home for more than ten years, with those who had been homeless for five years or more tending to be older, male Spanish nationals. 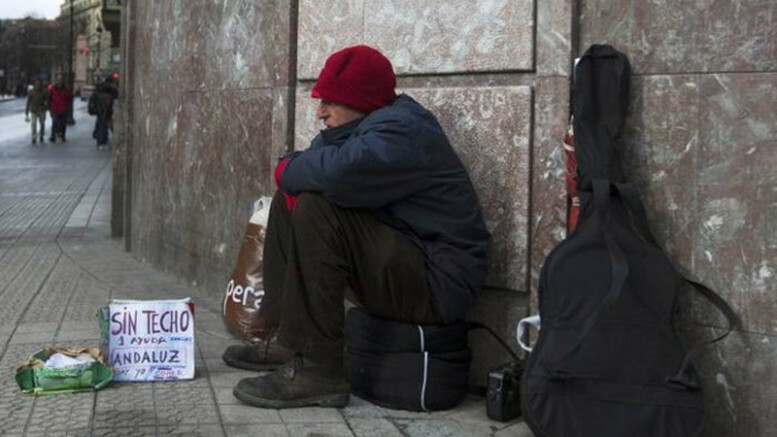 The survey found that the number of foreign nationals living on the street in the Basque Country had fallen over the past two years since the last survey was conducted and the number of homeless young people aged 18-24 had also declined. The survey results also showed the number of homeless women living on the street or sleeping in shelters rose 22 percent during the same two-year period.